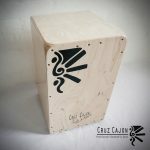 Maestro percussionist Alex Acuna with his new Cajudoo!! 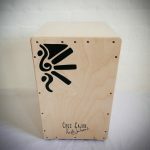 Wow dudes, MAESTRO percussionist Alex Acuna playing his new Cajudoo…. a gift from Hands on Drums and Myself to the renowned star. He is an amazing man as well as a great percussionist! He has played with Weather report (for those of you who knows your Jazz), this guy rocks it out on Kit ands percussion like no one! Here’s a little clip of Alex Acuna playing the Cajudoo Sekayi Accoustically!